One violates the Biblical prohibition of cooking even when reheating a food that has already been cooked and has cooled since it contains liquid. Regarding the mishnah’s statement: “Anything that has been prepared in hot water prior to Shabbat may be immersed in hot water on Shabbat” – this refers to dry food like R. Abba’s chicken. On the other hand, Ritva (Shabbat 39a s.v. kol sheba bi’hamin) and Ran (Rif, Shabbat 22a s.v. viha’rav Rabbeinu Yonah) disagree with Rosh and write that ein bishul ahar bishul applies universally, whether the food is liquid or solid. Likewise, Rambam (Hilkhot Shabbat 9:3) writes without qualification: “One who cooks over the fire something that is already fully cooked or does not need cooking at all is exempt.” Rambam makes no distinction between solid food and liquid food, and Beit Yosef (Orah Hayim 318:4 s.v. aval ha’Rambam) infers that Rambam agrees with Ran. Food that has been fully cooked is subject to the prohibition of cooking if it cools down…This principle, yeish bishul ahar bishul (there is a prohibition of cooking something that has already been cooked), refers specifically to food that has a sauce. However, food that is fully cooked and dry may be immersed in hot water on Shabbat. There are those who are lenient and hold that as long as you do not place the food directly over the fire but merely near it, it is permissible even after the food has cooled. Our practice is to be lenient so long as the food has not fully cooled. Rema introduces an intermediate category – food that is not fully cooled. This leaves us with a question. If Rema rules like Rosh, then a food that is less than yad soledet bo (the temperature at which you would withdraw your hand due to the heat) may not be reheated if it has fully or only partially cooled. On the other hand, if Rema holds like the lenient view (Ran, Ritva, Rambam), why doesn’t he permit reheating the food even when it has cooled fully? Rema wrote in his gloss (318:15) that our practice is to be lenient and allow placing foods with sauce near the flame even in a place where they can reach yad soledet bo, so long as the foods are not fully cooled. This is because those who are lenient rely on the view that permits this even with foods that are fully cooled as they hold that ein bishul ahar bishul applies to any food that has already been cooked. This is what seems to be his [Rema’s] words there. However, according to those who think yeish bishul ahar bishul for a food that is already cooked, this would be prohibited once the food is no longer simmering, even if it has not fully cooled. According to Minhat Kohen, Rema fundamentally agrees with the lenient view and his requirement that the food be less than fully cooled is a stringency and not a fundamental requirement. Pri Megadim (Eshel Avraham 318:39), Mishnah Berurah (318:99), Hazon Ish (37:13) and Igrot Moshe (4:74, Melekhet Bishul 2) all follow this approach. Magen Avraham understands Rema differently. He writes that reheating a liquid that has fully cooled is Biblically prohibited (253:37). Based on this, it appears that he understands that Rema agrees with Rosh, fundamentally, but Rema has a different standard for the point at which liquids lose their status as cooked – less than yad soledet bo. Shulhan Arukh Ha’rav writes (318:9 and 253:25) that the standard is the point when you would eat the food and still consider it hot. This standard has no source in the entire Talmud. It is possible that the intention of Rema is that even though there would be no prohibition of cooking even were the food to be fully cooled, it is nevertheless prohibited to place the food near a flame where it could reach yad soledet bo. The reason to permit is because one is only placing the food near the flame and not directly over it. In that case, we are not concerned that he would come to adjust the flame, as Magen Avraham (318:38) says in the name of Rosh. However, even placing it near an uncovered flame is only permitted when you are returning the food to the fire and not placing it anew. Placing it anew would be prohibited because it looks like cooking from scratch, as we see in 253. As long as it is still a little warm, it is considered like returning it. 1) Magen Avraham’s requirement that the food must still be warm in order to return it to the heat seems to have no precedent in the Talmud or Rishonim, as Biur Halakhah points out (253:5, s.v. u’bilvad). 2) Shulhan Arukh (318:15) permits placing food anew near a flame because it does not look like cooking at all. If Rema intended to disagree and only permit returning the food near the fire (hazarah), then he should have also mentioned the other requirements for hazarah as he did in 253:2. For these reasons, it appears that Rema’s stringency regarding foods that have cooled fully is not based on the requirements of returning food to the fire. One may place a hot water kettle on top of another hot water kettle, and a pot on top of another pot, (but not) a pot on top of a hot water kettle or a hot water kettle on top of a pot. One may seal its openings with dough, not in order to heat it, but in order for it to remain hot. Beit Yosef (258) cites a number of rishonim who hold that producing new heat, per se, is not a categorical prohibition. Rather, when the Biblical prohibition on cooking may occur, producing new heat is forbidden; if one will not violate the Biblical prohibition on cooking, it is permitted. Accordingly, they permit placing a pot with cold, dry food on top of a hot pot since, in this case, ein bishul ahar bishul. One may place a hot water kettle on top of another hot water kettle, a pot on top of another pot, a pot on top of a hot water kettle and a hot water kettle on top of a pot. One may seal their openings with dough, not in order to heat them, but in order to maintain their heat. Only full insulation (hatmanah) was prohibited on Shabbat, but placing one hot vessel on top of another hot vessel in order to maintain its heat is permitted. 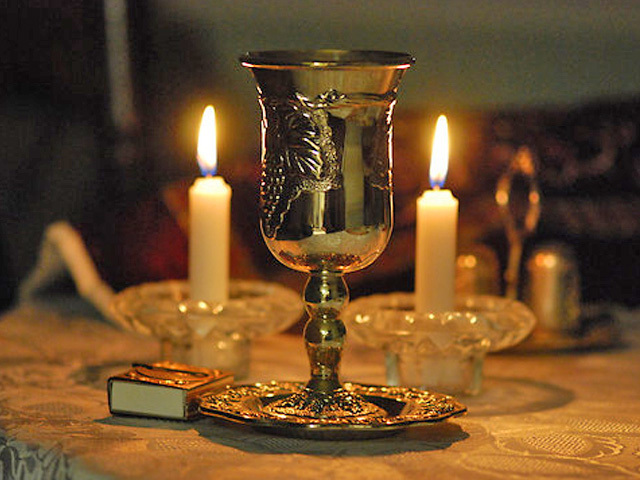 However, one must not place a vessel containing cold food on top of a hot vessel on Shabbat because you are creating new heat (molid hom) on Shabbat. A vessel containing hot food may be placed on top of an insulated pot in order for it to remain hot and not cool down. One may seal its opening with dough, if the dough was kneaded from the day before. However, one must not place a vessel containing cold food on top of a hot pot on Shabbat because you are creating new heat (molid hom) on Shabbat. As noted, Beit Yosef permits placing a pot of cold dry food on top of a hot pot. Regarding this point, Rema (Darkei Moshe Ha’katzar 258:2) writes, “According to the words of Tur, for whom the prohibition is based on molid hom, it would be forbidden in all instances.” It is clear from his words, that according to Rambam and Tur, there is a rabbinic prohibition of molid hom independent of cooking and it is categorically prohibited to heat cold food on Shabbat. Anything that is cooked before Shabbat or soaked in hot water before Shabbat, even though it is currently cold, may be soaked in hot water on Shabbat. However, something that has always been cold and has never been placed in hot water, may be dipped in hot water unless dipping it is sufficient to complete its cooking; but it must not be soaked in hot water. This case deals specifically with soaking food in hot water that is not currently on a fire; there is no source of heat, similar to fire, present (See Beit Yosef 318:4-5). This is not molid hom. Our rabbis taught: one may put hot water into cold water but not cold water into hot water, these are the words of Beit Shammai. Beit Hillel says: both hot water into cold water and cold water into hot water are permitted. What case is this referring to? In a cup; but in a bathtub, one may put hot water into cold water but not cold water into hot water. R. Shimon ben Menasia prohibits. One may put cold water into a hot kettle that has been emptied of its water in order to render the water tepid. It is permitted to pour hot water into cold water or cold water into hot water so long as it is not in a kli rishon (the vessel it was heated in) since it [kli rishon] heats it up a lot. In this case as well, since there is no fire present, it is not called molid hom. Our Rabbis taught: one may bring a jug of water and place it near a fire, not to make it warm but to make it less cold. R. Yehudah says: a woman may bring a cruse of oil and place it near a fire, not in order to cook it, but in order to render it tepid. One may bring a jug of water and place it near a fire, not to make it warm but to make it less cold. Likewise, one may place a cruse of oil near the fire in order to render it tepid but not in order to heat it. It would appear that, according to Rambam and Tur, warming anything (beyond room temperature) near a fire, even if it could never potentially become cooked, is prohibited based on their understanding of molid hom. The debate between Rambam and Tur and the other rishonim referenced in Beit Yosef regarding whether molid hom applies when there is no concern of violating the Biblical prohibition of cooking, hinges upon the debate about the nature of ein bishul ahar bishul. Those rishonim who maintain ein bishul ahar bishul does not apply to liquids, apply the braita of kdeirah al gabei kdeirah to liquids; there is a concern of Biblically prohibited cooking. However, for those rishonim who believe that ein bishul ahar bishul applies even to liquids that have cooled, it is impossible to interpret the braita this way. There is no possible way one could violate the Biblical prohibition of cooking for any food that is fully cooked, hot or cold. Therefore, they must interpret the braita straightforwardly; there is a prohibition of molid hom in all instances, with or without an accompanying Biblical prohibition of cooking. Our analysis yields the following conclusion. If Rema, according to the interpretation of Minhat Kohen et al., maintains that ein bishul ahar bishul applies even to liquids, he must rule (based on the way he explained Tur) that the prohibition of molid hom applies in all instances, not only when there is a concern of violating the Biblical prohibition of cooking. When Rema (in various places we will discuss later) says that the Ashkenazi practice is to be lenient, this means allowing reheating fully-cooked liquids (a lenient position regarding bishul di’oraita.) In doing so, he is forced to take the stringent opinion when it comes to molid hom. In my opinion, this is the basis of Rema’s stringency regarding heating food that is fully cooled. Since the focus is creating heat and not cooking, a small amount of remaining heat is sufficient to avoid violating the prohibition of molid hom. Based on this understanding, one should be strict and refrain from warming any food, even dry food that is fully cooled. This aligns with the ruling of Hazon Ish, based on Magen Avraham (253:36), that we quoted earlier, but not the rationale. Unlike Hazon Ish, the concern is not hazarah but molid hom. A close examination of the words of Rema makes this clear. Each time Mehaber (or someone else) permits warming cold, dry food, Rema notes that the food must not be fully cooled. Rema states without qualification that you may place food near the oven only when it is still warm; he does not distinguish between liquids and solids. There are those who say that all the above [returning a pot to the fire without following the requisite rules] is only forbidden if it was taken off the stove before Shabbat and you want to return it on Shabbat. However, if one took it off after Shabbat began, it is permitted [to return it to the stove] even if he already placed it on the ground. [In our community] they have the practice to be lenient with our ovens, which are similar to their stoves, and they rely on this lenient opinion, though it is better to be strict. However, if the food has fully cooled, it is prohibited according to everyone. Because Ran does not require that the pot remain in your hands and that you intend to return it to the fire, one might have thought that it would be permitted to warm cold food on Shabbat. Therefore, Rema adds that if the food is fully cooled, everyone, including Ran, prohibits returning it to the fire. Once again, Rema makes no distinction between liquids and solids. It is permitted to place a food that was fully cooked before Shabbat, such as pandish [probably etymologically related to empanadas] or similar things, on top of a hot pot on Shabbat in order to warm it, as this is not the way one normally cooks. However, insulating it with cloth placed over the pot is certainly forbidden. Similarly, it is forbidden to place the food directly on the stove, even if [its coals] have been raked or covered; they only permitted hazarah and only in the manner that has been explained. There are those who permit placing the food into an oven that was used for baking before Shabbat. Since they did not use the oven to insulate food [on Shabbat], and simply used it for baking before Shabbat, only minimal heat remained and there is no concern that anything could become cooked in it. [Therefore, it is permitted] as long as the food is not fully cooled. This seems to be irrefutable proof that Rema is strict with dry foods once they have fully cooled. Mehaber’s example of pandish, which is dry, indicates this. For that reason, Mehaber permitted warming it on Shabbat (though he certainly would not permit warming a liquid, since he rules ein bishul ahar bishul does not apply to liquids). Nonetheless, Rema wrote, “so long as it is not fully cooled.” Magen Avraham (253:36) comments that the food must still be hot in order to return the food to the fire. There is no way to restrict this case to liquids. It also sounds this way when one does a careful analysis of Darkei Moshe. He wrote there that with regard to cold food, our practice is to follow Beit Yosef and be strict. This is the basis of the gloss of Rema on Shulhan Arukh here. It is known that the reason Beit Yosef was strict is because we require the food to still be simmering, an issue Beit Yosef raised at the beginning. The reason for requiring it to be simmering (253:2) is that otherwise this would constitute cooking, as Beit Yosef explained. Biur Halakhah’s explanation is quite difficult as a careful analysis of Beit Yosef and Darkei Moshe indicates. The rules for hazarah to our ovens are similar to those for stoves [whose coals have been] raked or covered. If a little of its heat remains until morning, after removing the bread or panada [pandish] [before Shabbat], one could say that it would be permitted to put the pandish in it to warm up from that little bit of heat; there is no concern at all that someone would come to stoke [the coals] because they were already raked the day before even if they were not covered [in ash]. Most of the coals have already been consumed and died out, and one does not need to ensure that every last coal is gone. I am very hesitant with regard to this leniency, based on [Rashi’s explanation of] Rav Sheshet’s statement (Shabbat 38a): “According to the opinion that you can return [food], you can return it even on Shabbat.” Rashi explained, “Even on Shabbat day.” Based on this, even on Shabbat day, hazarah is permitted only to a stove [whose coals have been] raked or covered but never inside the oven… Nevertheless, perhaps [hazarah] would be permitted with foods that are never cooked inside the oven, like dough that is fried in oil. This is based on Ran (19a, s.v. tanu rabanan mevi, at the end), who wrote that it might be permissible to put pandish on top of the stove or an iron tripod [placed over the fire] as long as the heat it is not improving the quality of the food; it is clear that this is only being done to warm the food [and not to cook it]. Even though it wasn’t totally clear to him [Ran] that it should be permitted, that was when he was heating it up directly over the flame. In our case, where it is not directly over the flame, perhaps it would be totally clear to him that it is permitted. Nevertheless, it is proper to forbid even in this case, lest people come to permit that which is truly forbidden. All the more so when it is not totally clear that it is permissible. Beit Yosef wrote explicitly that that we are dealing with pandish, a dry food. This is the same food that he permitted one to warm on top of another pot. Contrary to Biur Halakhah, the issue is not a concern of violating the Biblical prohibition of cooking, rather, it is a concern of hazarah inside an oven. It would appear that if the food is still hot, we need not be so concerned; the words of Beit Yosef refer only to cold food. Such is the practice in our community as well. We are strict with cold food, but we permit foods that were taken out of the oven and are still warm [to be put back], based on Ran. Beit Yosef’s distinction between on top of the stove and inside of the oven does not appear in the words of Ran. Beit Yosef came up with the distinction on his own and it is possible that he [Ran] would not agree with it. There is no doubt that Rema is discussing pandish. Specifically when Beit Yosef permitted heating this food on top of another pot but forbade heating it inside the oven, Rema permitted putting it inside the oven (whose coals have been mostly raked out, as discussed), so long as it is not fully cooled. Above, in 253, I quoted Ran who said that it is permitted to put fully-cooked food on top of a hot pot in order to warm it. Rabbeinu Yeruham wrote that this is permissible even when the food is cold, and Beit Yosef said the same in the name of Rashba. Beit Yosef wrote, “According to their view, when the Gemara prohibited putting cold food [on top of a hot pot], it was dealing specifically with food that had not been fully cooked.” However, according to the words of Tur, for whom the prohibition is based on molid hom, it would be forbidden in all instances. Thus, Rema has made it quite clear that he forbids warming cold, dry foods because of the concern of molid hom. Even if it is fully cooled. However, if it is still simmering, it is permitted to do so even when the food has a sauce. There are those who are lenient and say that as long as you are not actually putting the food over the fire or on the stove, just near it, it is permitted even after it has cooled. Our practice is to be lenient as long as the food is not fully cooled, as I wrote earlier in siman 253. Rema’s initial statement (“Even if it is fully cooled. However, if it is still simmering, it is permitted to do so even when the food has a sauce.”) is an explanation of Mehaber and not his own view. (See Mishnah Berurah 318:95). One plausible reading of Rema is that he disagrees with the second part of the statement (his addition to Mehaber’s position) and not the first part (what Mehaber actually said). An equally plausible interpretation of this statement is that Rema disagrees completely with Mehaber and the food must not be fully cooled in all instances. This latter reading is strongly implied by his comment at the end, “As I wrote earlier in siman 253.” As we have already discussed, Rema does not distinguish between solids and liquids in siman 253. Had Rema meant to introduce a new rule about cooking liquids, he should have commented in 318:4 where Mehaber discusses what constitutes cooking. The most straightforward read of Rema is to assume that he requires, in all instances, that the food not be fully cooled because of the concern of molid hom. A pot containing a congealed sauce, where the fat does not remain intact when it melts, is certainly permitted. There are some who are strict, and our practice is to be strict. However, when there is a need, one may rely on the first opinion. From these words, it appears that Rema (at least when there is need) permits warming inpanada near the fire. This does not raise a problem because 318:16 deals with the rules of nolad (creating something new on Shabbat), not with the rules of cooking or warming food. In the context of nolad, Rema rules that, fundamentally, melting fat by placing it near the fire is permitted, though it is better to be strict. With regard to the rules of cooking or warming, it is permitted in the manner he discussed earlier. The conclusion that emerges from the foregoing analysis is that Rema rules like the lenient opinion – ein bishul ahar bishul applies even to liquids; his requirement that foods not be fully cooled, when warming them, is not a mere stringency. Because Rema rules ein bishul ahar bishul applies universally, he must rule like Rambam and Tur with regard to molid hom. The result is a rabbinic prohibition on warming any cold food, even when dry, on or next to the fire on Shabbat. This explanation fits precisely Rema’s glosses on Shulhan Arukh and his comments in Darkei Moshe. If my analysis is correct, those who follow Mehaber’s strict view – liquids cooled below yad soledet bo are subject to the Biblical prohibition of cooking – may follow his leniency that cold, dry foods may be warmed near the fire. In my opinion, those who follow Rema’s leniency – liquids cooler than yad soledet bo may be returned to the fire – must be strict and not warm anything cold, solid or liquid on or next to the fire. Further analysis is required to determine if Rashi might be interpreted differently. Unless otherwise stated, all references in Rambam are Mishneh Torah, Hilkhot Shabbat. Unless otherwise stated, all references in Tur, Shulhan Arukh and their major commentaries are Orah Hayyim. The aforementioned Ran is explicit that ein bishul ahar bishul applies even to water. See, however, Eglei Tal (Melehet Ofeh 8), who writes that water is the exception and one would Biblically violate the prohibition of cooking for reheating it after it has cooled down, according to Rambam. Even though Eglei Tal rejects his initial reading in his addendum, nevertheless, it makes sense that water should be the exception since there is no physical difference between cold water that has been heated previously and cold water that has not been heated previously. “Cooking” water means heating it; just like “cooking” metal in which one violates the prohibition of cooking by heating metal it after it has cooled, as Eglei Tal writes. This would appear to be the reason why Rambam (9:1) brings a different shiur for Biblically violating the prohibition on heating water compared to other kinds of cooking; the melakhah is different. We might think of heating water as a toladah of cooking or, perhaps, the better formulation for the Rambam would be to call it a parallel av melakhah. See 7:2. This is not the opinion of Pri Megadim (Eshel Avraham 254:1). In his explanation of the stringent view he writes: “It appears [that they are strict] specifically with regard to water, wine, and oil; since the heat is not changing them to make them edible (they are also edible cold), heating them is their ‘cooking’. Therefore, once they cool down, one again violates the prohibition of cooking. This is not the case with goose fat or meat broth that can only be eaten after cooking. Therefore, even when they have cooled, there is no further Biblical prohibition to cook them.” According to him, the lenient view must certainly be that of Ran, that ein bishul ahar bishul applies even to water. Most poskim do not accept this position of Pri Megadim. For the significance of yad soledet bo as the temperature of cooking, see Shabbat 40b and Shulhan Arukh 318:14. See R. Mordechai Willig’s Am Mordekhai (Shabbat 9:7) where he tries to bring a source for the opinion of the Magen Avraham based on Sefer Mitzvot Gadol (Lavin 65; also quoted in Mordekhai, Shabbat 456 and Hagahot Maimoniyot, 3:2). “At weddings, we are accustomed to putting the pot on the tripod before Shabbat. The fire is already lit (before Shabbat), we cover the pot with boards and the non-Jewish servants heat it on Shabbat, so long as it has not cooled to the point where it is no longer minimally edible (similar to ma’akhal ben drusai) before the non-Jews heat it. If so [that it is still minimally edible], there is no concern in heating it and it is permitted to eat it.” It remains unclear where the Sefer Mitzvot Gadol is getting this. Additionally, it is not at all clear from his words that he is dealing with the definition of “cooking” as it is also possible he is simply discussing when it is permitted to benefit from the melakhah of a non-Jew. See Mishnah Berurah 253:97 who understands his words this way. Nishmat Adam does try to distinguish solids and liquids. He writes, “When it is fully cooled and has a sauce, it looks like you are cooking anew.” In other words, he assumes that normal cooking may involve placing foods that are in liquid near a flame (not just directly over a flame). With dry foods, normal cooking is always done directly over a flame; placing them near the flame does not look like cooking and is permitted. Alternatively, my teacher, R. Dov Linzer, suggests that reheating a liquid looks more like cooking for precisely the same reason that some consider it actual cooking – normal cooking for liquids is simply heating them while the same is not true for solids. According to Nishmat Adam, even though we reject this distinction on a Biblical level, it is still significant on a rabbinic level. My teacher, R. Yaacov Love, suggests that Ritva is a possible source for this view. Commenting on Shabbat 38b, (s.v. vi’asikna) Ritva writes, “We conclude that returning food to a covered flame is only prohibited if it has been placed on the ground without intention to return it. We may be lenient on all the other criteria (of hazarah) that the gemara raises, since the gemara does not reach a conclusion, and we are dealing only with a rabbinic prohibition. Nevertheless, it seems clear that you must return the food before it is fully cooled so that it does not look like cooking. Placing the food near the flame, however, would be permitted even if the food is cold since this is not the normal manner of cooking.” As we mentioned earlier, Ritva applies ein bishul ahar bishul to both solid and liquid foods. It is possible that since this edition of Ritva was not available to most ahronim, they don’t cite it as a source for Rema. However, Rema also does not cite this Ritva in any of his writings so it is not clear that he had it either. Additionally, Rema is strict with regard to placing food near the flame as well (see his gloss on 318:15), a position that differs from this Ritva. See infra, note 22 for another suggestion. It is worth noting that Magen Avraham does not think that the reason why Rema does not permit one to warm foods that have cooled fully is because you may not do hazarah for cold foods. Rather, as noted, Magen Avraham believes that is based on the Biblical definition of cooking liquids. Consequently, he restricts his ruling to hazarah to the stove itself. See his comments at the end of siman 259. Another possible explanation of Rema is found in the Pri Megadim (ibid. ): “Nevertheless, if it is so cold that it is not fit to be eaten, it is prohibited [to heat it] because it looks like you are fixing it.” I do not know of a source for this idea. The words in parentheses appear in the Vilna printing of the Talmud but most rishonim did not have them. See Masoret Ha’shas. According to many, it is rabbinically prohibited to heat a liquid even if it does not reach the point at which it would constitute Biblical cooking (yad soledet bo). See Beit Yosef and Shulhan Arukh 318:17. See also Rashba Shabbat 40b s.v. uv’ha mitartza, and Ohel Moed, Sha’ar Shabbat 3:8. Tur (318:6) states, “It is prohibited to place a vessel containing a cold cooked food on top of an insulated hot pot in order to heat it if the pot is hot enough that it would cook food in the top pot. However, if it could not become cooked, it is permitted.” It would appear that this is specifically about an insulated pot; if the bottom pot was on a flame, it would be prohibited regardless because of molid hom. This is clear, as well, from his words in 9:3: “One who cooks something over the fire that is already fully cooked, or does not require any cooking, is exempt.” In (1:3) he explains, “Any time it says that one who does something is exempt, it means exempt from karet, stoning and a sacrifice, but it is still rabbinically prohibited to do that thing on Shabbat.” Based on this, Magid Mishneh (9:3) states, “Nevertheless it is prohibited to place it directly over the fire. He learned this from the laws about hazarah for a food whose quality diminishes with reheating (nitztamek vi’ra lo), as referenced in chapter 3.” This is a difficult explanation because Rambam did not mention any of the other requirements for hazarah here, and it sounds from Rambam’s words that it would be prohibited even if the fire were covered. Based on our explanation, though, it makes sense that putting the food on the fire would always be prohibited, even if it is covered, because of molid hom. While Rambam does not explicitly mention the presence of fire in the first case, it is implied, otherwise, we would be led to the absurd conclusion that one may warm food up in the pot but not on top of it. See Magid Mishneh (4:6) who seems to assume that the pot is not on the fire; the distinction between ki’negged hamedurah, which is permissible even if the food is cold, and kdeirah al gabei kedeirah, which is forbidden if the food is cold is how hot the food will get. This explanation might be sufficient to distinguish this case from warming food near the fire – the basis for Magid Misheh. However, this explanation cannot distinguish this case from soaking the food in hot water. It goes without saying that soaking food in a pot of hot water heats food faster than placing it on top of a hot pot. The position that ein bishul ahar bishul does not apply to liquids, enables a reading of the braita as referring specifically to liquids since bishul di’oraita is a relevant concern. However, this is not the only possible interpretation of the braita. Tur, for example, holds that ein bishul ahar bishul does not apply to liquids (318:4) and still rules like Rambam that molid hom applies across the board. Further investigation is required to understand the opinion of Ran, one of the rishonim cited by Beit Yosef, who permits warming cold, fully-cooked food on top of a hot pot on Shabbat. He also rules that ein bishul ahar bishul applies universally. If so, to what does the braita of kdeirah al gabei kdeirah refer? Beit Yosef (end of 258) writes, “According to him [Ran], when the braita taught, ‘not in order to heat it,’ it was referring specifically to food that is not fully cooked.” This explanation is difficult, because if the food was not fully cooked, why would heating it be permitted even if it is still hot? Even if Ran understands that the pot is not on the fire (as some rishonim do, see Shulhan Arukh 318:6-8), cooking in a pot that was heated over the fire (kli rishon) is prohibited even if it is no longer over the fire (see Shabbat 39a). See Taz 318:9, who permits placing food which is not fully cooked on top of a hot pot that is not on the fire, on the grounds that it will never really cook under such circumstances. Sha’ar Hatziyun (318:73) quotes Beit Yosef’s explanation of Ran as a source for Taz. However, he also quotes many ahronim who disagreed with Taz. Pri Megadim (Mishbetzot Zahav ibid.) also expresses astonishment at this Taz – if Taz is right that food could never become fully cooked under these circumstances, why should it be prohibited if the food is cold? For further discussion of Ran, see infra note 24. A possible practical difference is, according to Hazon Ish, one could only return food to the fire if it was still warm because only then would it be considered hazarah. According to my approach, as long as it was warm in any manner, warming it further would not constitute molid hom. Thus, one could plausibly take a fully-cooked, cold, dry food, and place it in hot water off the fire until it is somewhat warm, remove it and place it near the fire to warm it further. Further analysis is required. Mishnah Berurah (253:68) says that Rema’s stringency for foods that are fully cooled is because of a concern for a new bishul. Seemingly, then, he interprets the stringency as applying only to liquids. Mishnah Berurah’s understanding of Rema will be treated extensively in the next section. Mehaber says something similar in (318:8). Rema does not comment there, presumably, because he already explained his position here. My teacher, R. Yaacov Love, suggests that it is possible that Rema’s humrah is specifically about pandish, and his disagreement with Mehaber is that he maintains that pandish should be considered liquid. This is consistent with Rema’s comment in (318:16). Mehaber writes, “It is permitted to place inpanada [pandish] near the fire in a place that is yad soledet bo, even though the congealed fat in it will melt.” Rema comments, “And all the more so it would be permitted with a pot that contains a congealed sauce; when the fat melts it does not remain intact. Some are strict and our practice is to be strict. However, when there is such a need, one may rely on the first opinion.” While the discussion here is about nolad (creating something new on Shabbat) and not the rules of cooking, see Be’er Heitev (318:38) who writes, “Nevertheless, according to those who forbid it, it would be prohibited because of cooking.” Be’er Heitev appears to be saying that since the strict opinion considers fat to be liquid with regard to nolad (turning a solid into a liquid is a classic example of nolad), it is also a liquid with regard to cooking. (As opposed to Levush who holds that even those who do not consider this nolad, still consider this a liquid with regard to cooking.) I am more convinced by the explanation of Minhat Kohen (2:3). He writes that the issues are not linked. Even if we consider this nolad, there is no concern of cooking for anything that appears solid now even when it will subsequently melt. Darkei Moshe (318) seems to hold this position since he does not mention the prohibition of cooking at all in his discussion of inpanada. Additionally, if Rema’s stringency in (253:5) is based on his stringency in (318:16), he should have written here than one can be lenient in place of need, just like he wrote there. This point will be discussed later in further detail. In Sefer Tosefet Ohel (Shabbat vol. 1, p.40), R. Shmuel Kedar brings as a possible source for Magen Avraham, Tosfot Yeshanim (Shabbat 37b), cited by Hazon Ish (37:9) and Eglei Tal (Melekhet Ofeh 48:5). They write that one might be permitted to heat oil, specifically, near a fire in a place that is yad soledet bo (according to the opinion that oil is not subject to the prohibition of cooking). One could not heat other cooked foods even near the fire. It is not clear to me that Tosfot Yeshanim’s reasoning is based on the rules of hazarah. In fact, Eglei Tal asserts that we are referring here to bishul di’rabbanan. It is also possible that Tosfot Yeshanim forbade this because of molid hom, as we described above. Further investigation would be required to understand why oil would be permitted in that case. Regardless, we do not rule that oil is not subject to the prohibition of cooking and it is, therefore, difficult to bring proof based on this position. Rema never mentions this Tosfot Yeshanim. These words also appear in Darkei Moshe Ha’katzar 253:6* but they appear to be printed in the wrong place. Though Ran is not explicit, it appears that Rema understood Ran to permit warming foods only when they remain slightly warm, and only Rabbeinu Yeruham permitted warming cold food. This explains Darkei Moshe Ha’katzar (253:8) quoted earlier: “We are strict with cold foods, but we permit foods that were taken out of the oven and are still warm [to be put back], based on Ran.” This resolves the difficulty we raised earlier in note 17, and explains Ran’s interpretation of the braita of kdeirah al gabei kdeirah since he holds that ein bishul ahar bishul applies universally. It would appear that Rema did not agree with Beit Yosef’s understanding of Ran. Based on the words of Rema, it appears that he understands that Ran agrees with Rambam and Tur that there is a prohibition of molid hom in all instances. Only Rabbeinu Yeruham, a student of Rosh, who holds that ein bishul ahar bishul does not apply to liquids, permits heating cold, dry food on top of a hot pot. Even though his language here sounds like he is permitting this, there are several ways to explain this. Rema may have had a text of Shulhan Arukh (Levush had this version) that states, “A place that is not yad soledet bo,” instead of, “A place that is yad soledet bo.” Even if he had our text, he may indeed be dealing with inpanada that is still warm as certain fats melt only at temperatures considerably higher than room temperature. Alternatively, the inapanada may be cold but contain a fat that melts at room temperature. In that case, Rema might permit leaving it near the fire long enough for it to reach room temperature and melt the fat but not long enough to actually warm it. Thus, there are several possible way Rema might permit warming inpanada in (318:16) consistent with our interpretation. See Hazon Ish et al. who ruled this way based on a different reason. Rabbi David Fried (YCT, '13) learned at Yeshivat Har Etzion. 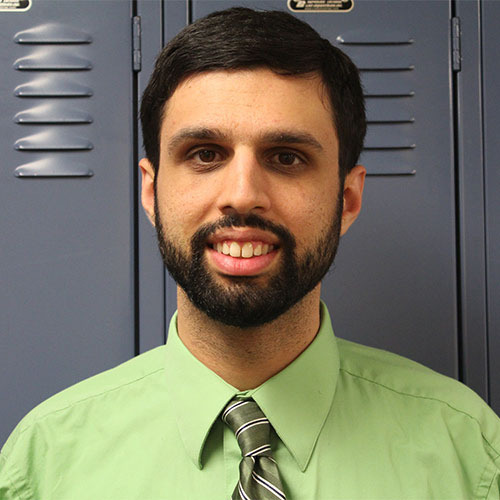 He has a BA in mathematics from Brandeis University and an MS in applied mathematics from Stony Brook University. Rabbi Fried teaches Judaics at the Hebrew High School of New England in West Hartford, Connecticut. He publishes in the areas of Talmud, Halakhah and Tanakh.